When you need an electrician to come out to your commercial property in Toronto, you want to make sure you’re hiring the best. At Gateway Electric Inc. we’ve been in the industry for over 28 years and pride ourselves in providing the best service on every job, whether it’s a scheduled appointment or emergency. Licensed and bonded, our full-service team is on call 24/7 and can provide installation, maintenance or repair services, all on your schedule. The highest rated electrical contractors in Toronto, we’ve earned our reputation by handling any job that comes our way with the highest level of skill and professionalism. Your business can rely on the commercial electrical contractors at Gateway Electric Inc. to get the job done right the first time, every time. And with a wide range of services available, you won’t have to ever be concerned that we’ll be unable to complete an assignment. Opening our doors in 1989, we’ve had a lot of time to learn and grow, and this is something we don’t plan to stop doing any time soon. Our policy is to stay on top of any and all changes and new developments in our industry, to better benefit you. Offering all these services and more, we can ensure that Toronto businesses are well covered and 100% satisfied. 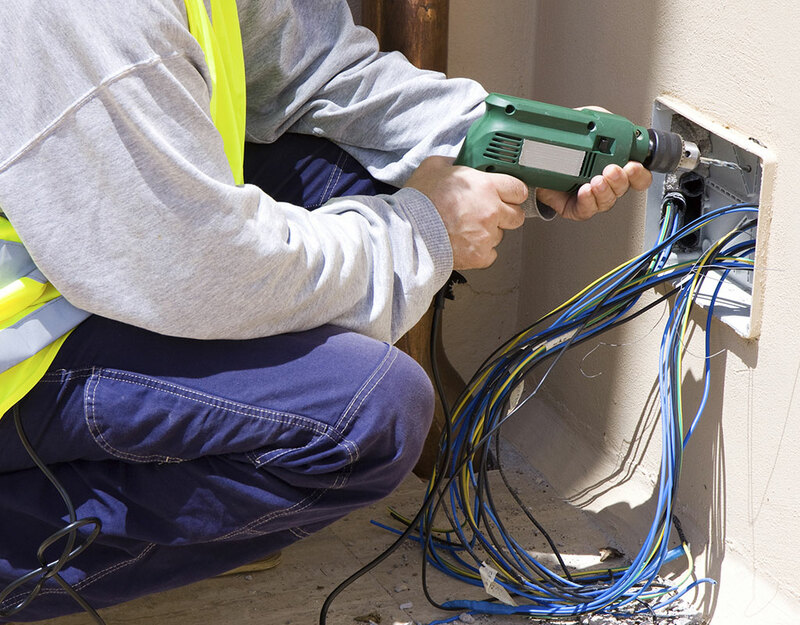 When it comes to hiring a commercial electrician, you want quality work at a reasonable price. That’s exactly what we can provide at Gateway Electric Inc.
It’s important that all electrical work be done with skill and accuracy. Don’t put your trust in an inexperienced company. Put your trust in Gateway Electric Inc., Toronto industry leaders for more than a decade! If you’re looking for electrical contractors that go the extra mile, you’ve found them. Electrical emergencies can cause real damage, so we make ourselves available 24 hours a day to catch potential problems before they get worse. If you find burning wires, see smoke coming from any electrical device, or see flickering lights, don’t take the risk by waiting to see what happens, call Gateway Electric Inc. immediately and we’ll arrive quickly to assess the situation. At Gateway Electric Inc. we’re equipped to provide any electrical service you could possible require in your commercial building. If you need an installation, repair, or emergency electrician our contractors have years of experience and can get you the results you’re looking for. Want to ensure that your building is up to code? We’re well versed in Toronto bylaws and safety requirements. Don’t get caught with unsafe electrical work, call us today to put your mind at ease. With free estimates on services, you can’t go wrong. The proper installation and maintenance of a building’s electrical system is necessary to keep your building functional and safe. Reserve your appointment with one of our dedicated Gateway Electric Inc. team members today and see just what we can accomplish for you!